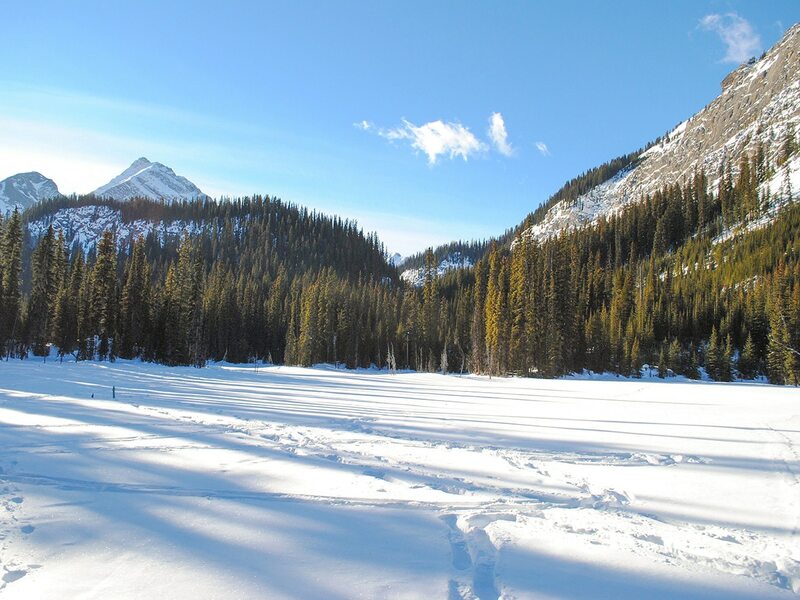 Hogarth Lake is a nice, easy snowshoe, perfect for a family. 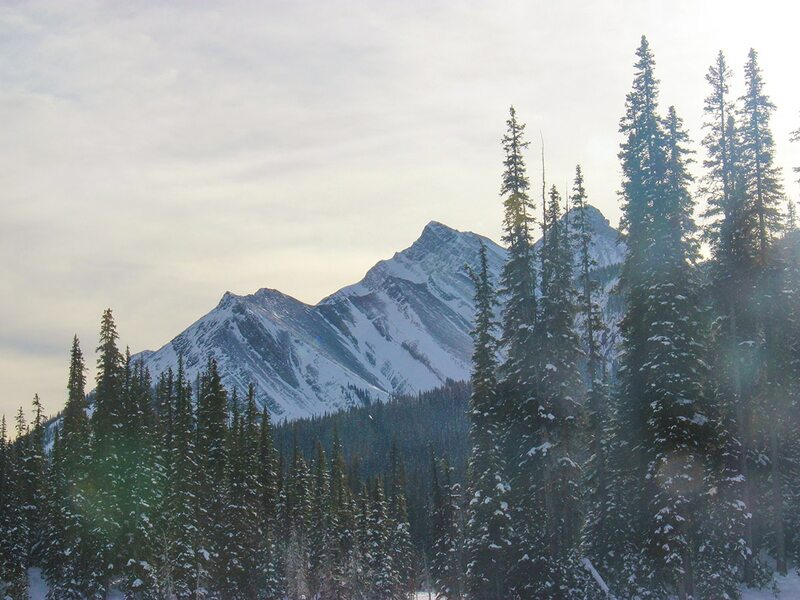 With nice views and great terrain, consider adding this trip if you’re new to snowshoeing or heading out with beginners. It’s also nice to combine with Burstall Lakes trail for a great day! The Burstall trailhead is located on the unpaved Highway 742, also known as the Smith-Dorrien Trail. From Canmore drive towards the Nordic Centre. Continue past the Nordic Centre and travel 41.0km before reaching the parking lot on the right. 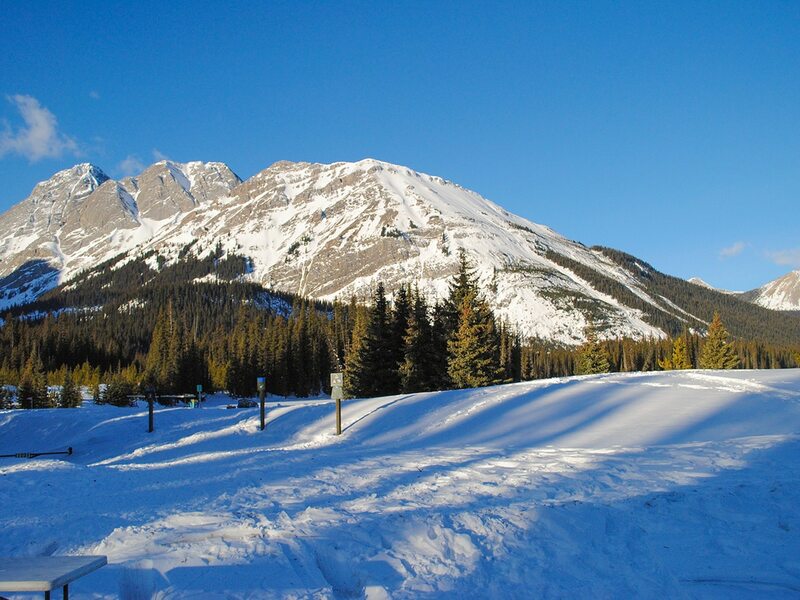 If coming from Kananaskis Lakes in the south, the distance is approximately 20.0km. 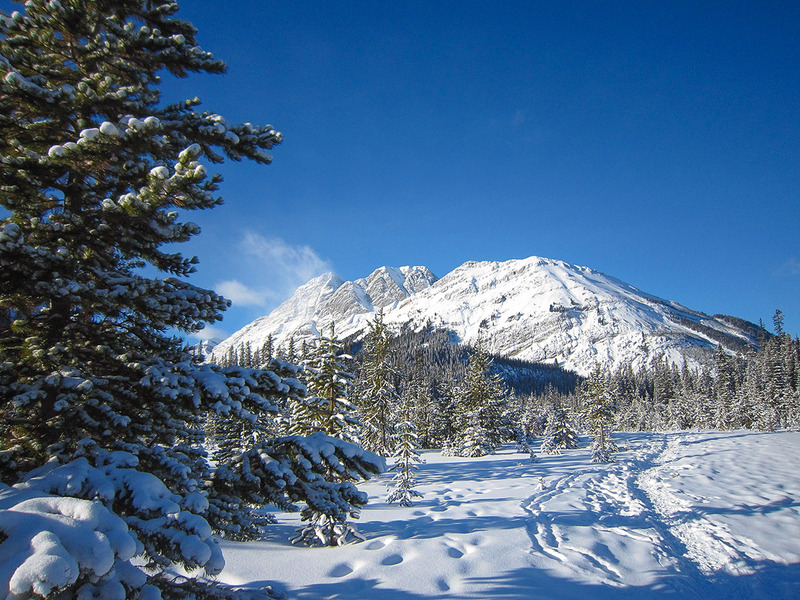 Hogarth Lakes is a wonderful snowshoe for families or beginners just starting out. Usually the trail is compacted that you can do it without snowshoes, though those that want to snowshoe can frolic in the deep snow off the trails. The route goes around the frozen Hogarth Lakes, each with very nice views of the surrounding mountains. Begin snowshoeing at the Burstall Day Use Area and start out going past the trail kiosk and bathrooms to the signed dam over Mud Lake. Cross Mud Lake and take the trail branching off to the right. Follow this simple trail as you cross a frozen section of Mud Lake. Continue through the forest before taking a left to the first Hogarth Lake and travel along the left lakeshore. 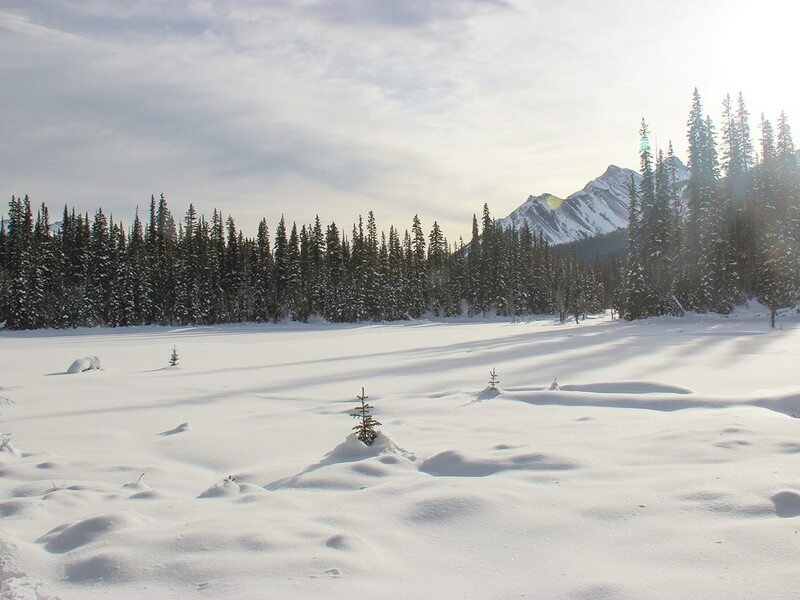 Continue following the red snowshoe signs as you snowshoe past the other Hogarth Lakes. Enjoy lunch at one of the lakes while you take in stunning views of surrounding peaks before finishing this easy and rewarding loop. Bring the family, this is an excellent trail for all ages. We recommend doing this on a Sunday and then heading over to Mount Engadine Lodge for the delicious Sunday Brunch! Complete in conjunction with Burstall Lakes for a longer day.